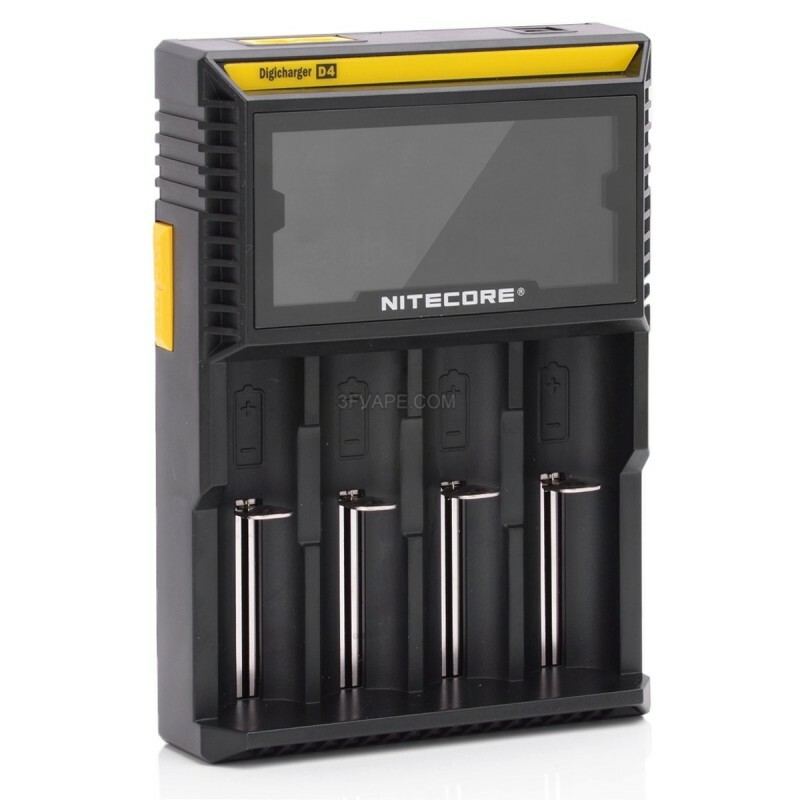 The Nitecore D4 is a universal smart charger compatible with almost all cylindrical rechargeable batteries, thus eliminating the need to own several chargers. 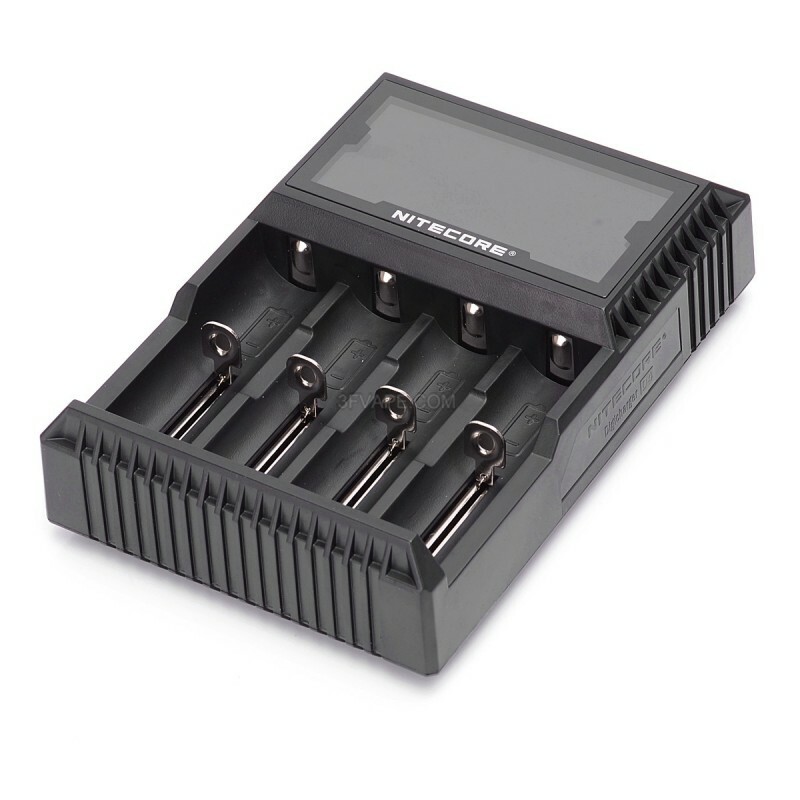 The D2 automatically detects Li-ion, Ni-MH and Ni-Cd batteries, and through manual selection is also capable of charging LiFePO4 batteries. Intelligent charging circuitry selects the optimal charging mode (CC, CV and dV / dt) for a given battery and each of the D2's two microcomputer-controlled charging slots then monitors and charges the battery independently. 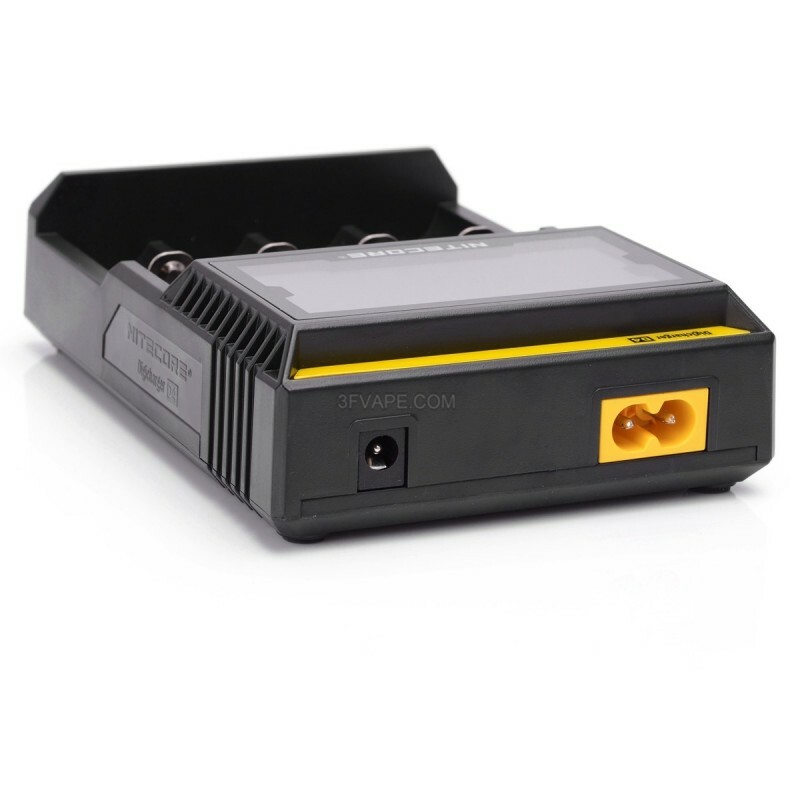 Furthermore, an integrated digital LCD screen clearly displays charging progress, voltage, current and time while an intelligent automatic power-off function terminates current when charging is complete. 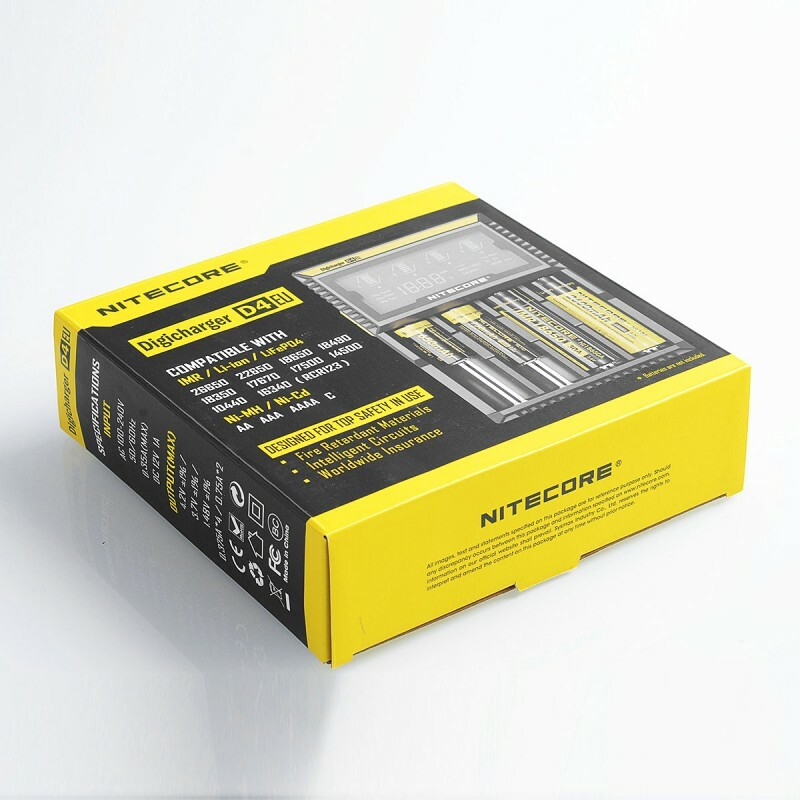 The Nitecore D4: The world's most advanced fully-automatic digital charger. 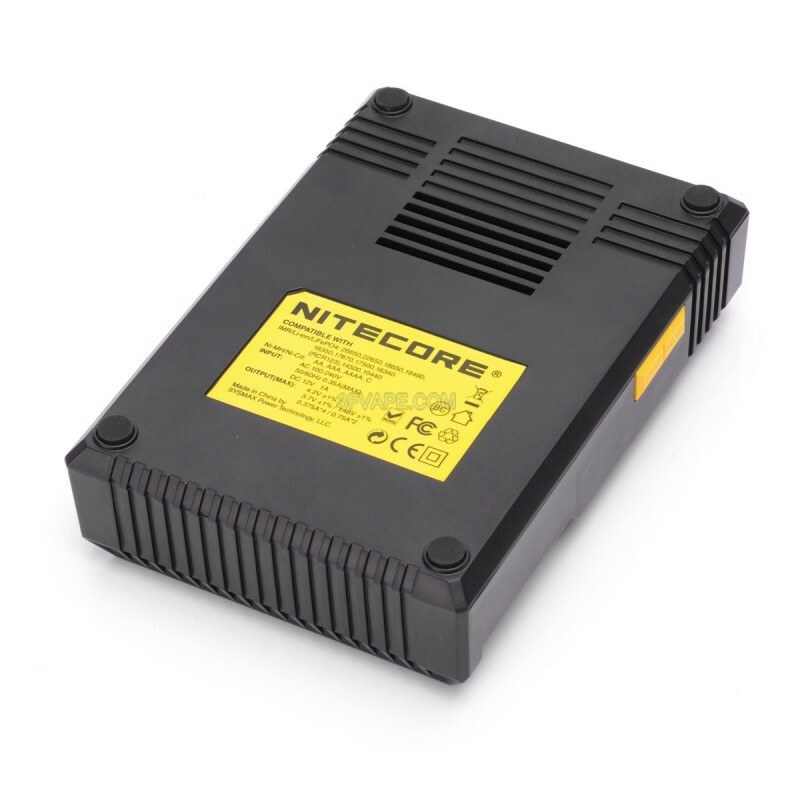 It's as simple as insert, detect and charge. 3FVape is a professional electronic cigarette retail and wholesale shop. We provide new and cool e-cig products at affordable price. All products will be shipped from China now. If you find a product to be authentic, then it is not a clone. For any question about product title Authenitc Nitecore D4 4-Slot Digital Battery Charger for IMR / Li-Ion / LiFePO4 / Ni-MH / Ni-Cd Battery - Black, UK Plug, please contact us. We also encourage you to leave review of e-cig products on 3FVape.